I have officially made the Vegas incentive for 2015 and am VERY much looking forward to meeting Kyle, Carson and the other super affiliates! However, while I don't want to make the focus of this post too much about me. I want to tell everyone how I reached this point, how you can too, and the mistakes I see people constantly making when they join this community. If you don't already know about me, I've been involved with this business for many years and have been with WA for more than 7. Funny enough, I didn't start promoting WA seriously until mid 2013 and before that I had periods of incredible success online and also a lot of failures, which were mostly my fault. The success came about when I implemented WA's approach to making online business and the failures came when I was too lazy to have a plan B when one or more projects were running well. Then there's also the periods where failure was because of another third party. But that's beside the point. For many years, I had ups and downs in this business and rather than focusing on stability with internet marketing which is what WA is all about showing you, I instead focused on finding one hot niche after another and while it did work for a little bit, eventually the heat died down. As I saw this lesson taught over and over, I realized it was time to focus on something more stable. More importantly, I wanted to know that the work I was doing was going to have a positive impact on people's lives. I want my work to be fulfilling and the biggest way that is shown is by helping people reach their goals and this is where the certification courses and affiliate bootcamp provided by WA come into play. With these courses, you are looking at a lot of work in the the beginning, but what you're also looking at is success in a niche that will not die out and will remain popular always. Before I started doing affiliate bootcamp and the certification courses, because of my prior success with internet marketing, I felt going through those courses would be a waste of time because the knowledge there was something I already knew. I was dead wrong. Since the last time I went through all of WA's training, years had passed and the training was updated many times. If you don't already know how WA is on top of things, know this: They always update their training! But like an idiot, I instead was too stubborn to realize this, went on with an older way to do things and even tried to take shortcuts I found from other places. What ended up happening was that the site/s I was working on made some profit, but received a major penalty and killed my profits overnight. And with other niches I once had making me 6 figures, were now suddenly turning into nothing. Something had to change and the way I was doing things was no longer working. I remember talking to Kyle about this and he told me to do the courses. I finally decided to put away my stubbornness, sit down for the long haul and just do it. What was good was that because I had so many years under my belt, I finished both courses in under a week. 1. This is by far the most important piece of advice you'll ever get from me and any other experienced member here: DO. THE. COURSES. But which should you choose? You'll have a choice between the affiliate bootcamp or the certification courses. Certification courses deal with you making a business out of a topic you love. Affiliate bootcamp deals with promoting WA. BOTH courses essentially teach the same things which is to create a content rich website on your topic. Confused by what this means? It's simple: You add information about your niche. I find products on internet marketing. I review, rate (and often buy) those products. I ALWAYS link every product review to my WA review. Every single product review has low competition keywords. By writing more product reviews, I get more visitors to my site. More visitors coming to my site means more people going to my WA review and this is what leads to people signing up. You should try to follow the same approach on your site. Understand, it's a game of numbers but in the sense that the more posts (content) you write, the more visitors you'll get. MAKE SURE to write content relevant to your niche. My WA website currently has nearly 300 posts and 20 pages. That is an example of a content rich website. But so many people fail to understand this concept even though it's made perfectly clear in the training over and over again. They think setting up a website with a few pages, some nice pictures and a little bit of wording it all it takes to make millions. You couldn't be more wrong and I keep running into people who KEEP on making this same mistake. If Google allowed every website that creates 1 or a few pages to rank highly, they would be filled with worthless websites providing no value to their customers. The people who truly work on their site and diligently work to add content regularly are the ones which Google awards their trust to and those are the sites which stand out. If you think making a successful website involves setting up a few pages and you're done, you're in the wrong business. I constantly see people saying "My niche is weight loss" or "I want my site to focus on all topics related to a broad topic". They want to pick something they have pretty much no experience in but "think" what they chose is popular and profitable. Understand this: Every niche is profitable. You're better of choosing something you know about rather than not and then trying to build a site out of it. I've seen so many people come and go within the first month of going premium because they decided to go this route and are surprised, frustrated and disappointed when they run out of content ideas. Don't chase what you "THINK" is going to make money. Chase your passion. They WAIT to publish their website before it's "perfect". People, if you have drafts on your site and are afraid of publishing because it's not "Ready", you're basically turning yourself from a cheetah into a snail. Understand that by waiting to publish, you're not giving Google signs your site is even up so when you do publish, it will take much longer for it to rank. Even if your posts aren't ready or in a draft, write and publish them so they start ranking while you keep working on your site. Google won't immediately rank your site high once you publish it entirely. It will do it slowly, especially with new sites and you're going to encounter the "Google dance" where your site's posts and pages will bounce up and down in the rankings (Don't stress out about this). If you're in this to make money, that's good, but if you think filling up your site with no value and just affiliate links is going to get you anywhere, you're in for a big failure. Beginners make this mistake constantly. They set up a site with no content basically and just start adding affiliate links. What happens? Well nothing. Don't even worry about adding affiliate links until your site starts to get visitors from Google. Then add them. THIS PRODUCT IS GOOD, BUY IT NOW! Forget selling. Start giving people value. Help them solve their problems. This is what gains trust and leads to sales. This business takes time to grow. Those who come into it and expect fast results are the ones who fail the earliest. This is why I kept failing when I started. But I was also too stubborn to quit. How often you write content on your site. I say once a day. I write 1,000 words for each of my posts and recommend you aim for the same quota. if not, then at least try to squeeze in 2 posts a week. Since I was promoting WA, for the first 2 or 3 months I was getting VERY little visits to my site (maybe up to 20 a day). This continued for several months (I think until month 4 or 5). I was VERY pissed at that time because I put in so much work and I did ask Kyle about this more than once (and other WA members). A lot of people come into this business with an expectation of how they want things to look, feel and flow. And when they get into the training, instead of following it, they instead do it their own way. This is the last big issue I see and it was actually my problem too. Remember what happened? Yeah, it'll happen to those people as well. Take your stubbornness out of the picture and follow the training's instructions. You won't waste years like I did. It's still extra content on my site and I can add to it. Sometimes new products are released which don't become popular right away so if you spot it early, there's very few competing pages so you can rank high and once it becomes popular, you win. Also don't always aim to have keywords in the same order as you find them. So if my keyword was: A B C, and I was making a title, I could switch it around and say C A B or C B A. It would still rank for the original. Write content over and over. There's no such thing as too much. Don't try to sell. Try to help. Put yourself in their shoes and see how you would react if someone came to your site. When you write content, you can promote an affiliate offer on the site OR if the product is no good, link it one you're promoting which is. This is what I do with all my reviews. Try to reach at least 1,000 words each time you write a new post. Chase the passion. People who do this have an easy time writing content and coming up with new ideas. They end up getting much more done and seeing success. Wow, that is great information. 300 posts seems like a lifetime away. Thank you for the inspiration. This is so inspiring...I can't thank you enough! I've been out of touch for many months but I keep renewing my membership because I know deep down inside it's worth it. My question is this: When I retake the classes, would you recommend working with the two sites I created through WA and just make major changes like get rid of my affiliate links and start over? I get good feedback on them from other members but absolutely no organic traffic. As a result, my affiliate links seem useless. Or should I start completely over? Just not sure where to go from here. I would say that depends on whether or not these sites are really your current passions. If they are, then they are probably worth fixing, redesigning, and adding some fresh content to. If they are not, then I would start from scratch. You could always start with a new Siterubix site while you start the training, and work on something new, while you correct at least one of your two original sites as you go thru the training. Soon, your path will become clear and you will on your way pursuing your dreams. Thank you! I think I'll work on both. I'm passionate about small space decor and, since I'm also retired, I feel a connection to my blog about income ideas for retirement. I so much appreciate your thoughts on this! What a great post. Obviously it should be followed because your success proves it. Thank you for this advice. This is exactly what I needed to read today. Very helpful! Thank you. That's excellent! Thanks for the tips and the help. Onward and upward! Good post Vitaliy. I like to think I am following this pretty much to the letter (except for posting every day) I post regularly now 3 times at the same time each week and always do my best to exceed 1000 words. You also told me just to follow the training and do the tasks and that is pretty much what I am doing. Just over 4 months in and my traffic is rising slowly. For once in my life I am patient and I have decided if it takes up to a year (and even more) for traffic to explode then so be it. I have to just keep at it and I will. Thanks for a very detailed post on what to do and what not to do! Thank you Sharon! My advice stems from the very same steps I went through to reach this result. I know you're going to see results a lot faster and that you're working hard to reach your goals. Once you cross that boom point and the traffic explodes, you're going to feel amazing that all that work you put in is coming back to reward you 10 fold if not more! Thanks heaps Vitaliy and I have so much belief in what you are saying there and the reason I just keep at it. WA provides the tools, community, support - 2 thirds of the pie and it is the third part of the pie that is up to me! The "YOU" factor as it is said. It's what I do as to whether I will succeed as everything else is in place. But you already know all that!!! So yes, very excited about the future. Thanks for sharing Vitaliy! Very helpful information and advice here. Wow, this is probably the most valuable thing I've read on WA so far. Thanks a lot! The best advice I ever read and it comes from my mentor, my sensei! You're the man Vitaliy! People....LISTEN TO HIM. I am grateful for signing up under him. I found your article very interesting although I am still a bit confused. I tend to want to take both courses and then make up my mind. I have done internet marketing. I spent 6 months putting a site together. Paying big bucks to an E-commerce company just to find out in the end that the site would not rank with Google, there was something wrong and they could not figure it out. I was so disappointed. Now I am ready to try again but cannot make up my mind which way I want to go. I have already started with the certificate course. I just don't know what domain name to use and am uncertain on the product. Just continue with the training Ruth, don't worry too much about the domain name, just name it something that describes the niche topic. I can definitely relate to this post Vitaliy, Had great success in 2003 when I started. left the online world for a few years, came back thinking I'd pick-up where I left off... man what a let down! To stubborn to change my way of thinking... cost me a lot of time and money wasted. Couldn't relate more Fred! I also had a stubborn period where I didn't want to adjust to the changes. Wow awesome sauce VitaliyG! Now I've lots of content to work with...you've definitely opened my eyes to more great ideas and topics to supplement my niche. Thank you bud! Wow. Excellent article. Good learning experience. Excellent article! That's exactly the case when you have some experience/knowledge already, but for whatever reasons, don't have the results. Starting fresh is a good thing. It either reinforces what you do actually know, or show you what you don't so you can produce results. Great stuff! Thanks for sharing your journey! It's just like establishing a routine. If it's everyday, you will succeed. Loved reading this post, great info. Hi VitaliyG, Great Post, thank you very much for the training. Awesome post......Doesn't get more truthful and clear than this. Congratulations Vitally, on all your hard work and thank you for the advice and motivation. Valuable. You could be a successful niche for someone, you and people like you with journeyman experience and insight. "Emulating Successful Affiliate Marketers" Reviews of those with a quarter of a million, or more, in profit under their belt. Thanks again. Excellent advice! Thank you for sharing this important information. Thanks so much for your help, now I'm off to do the bootcamp training. ြGreat story my friend! Thanks a lot for enlightening me. Brilliant post - I will be working through the training courses for the second time. Very inspiring indeed, a great read. 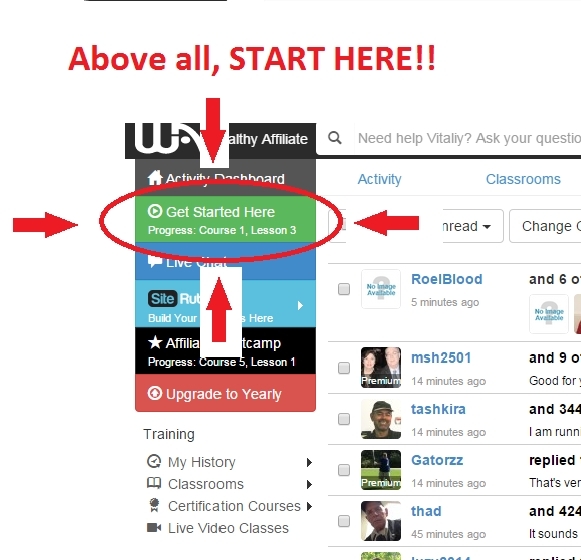 Hello Vitaliy, you have no idea how much this helped me! I´m exactly at this point where I am going "where are my results, yo?". Very timely post. It was very inspiring. Thank you! Dude, you just gave a formula for life! Good Sh*t man! You can take this entire experience and be a mentor! Thank you for sharing this. It's awesomeness. Thanks. So much to learn from this one post. Brilliant advice. Thank you for sharing this. Very interesting article indeed. You touched on several things that I was about to do wrong. I am on lesson 8 and will be going directly back there and completing the training step by step with all the newfound info! Thank you so much, marvelous article! You added a lot of value for me, Vitaliy! I have read another post you published some time ago, and your advice for beginners was to choose a niche they know a lot and not to try to choose "making money" niche. I have listened to your advice, and I started again. The biggest surprise for me was that I was able to write 1000 words posts. Thank you as well for this post. I know what I'm not doing good now! Great advice, thanks for sharing. Inspirational! Couple of years later & still an interesting read thanks! Now following! I think I found this post at the right time. You mention when you were at the 3 or 4 month stage, you got frustrated about the lack of traffic. Well I'm at month 4, I have been doing my best with the content creation, but traffic levels are low! Thanks, you just gave me the boost to continue on. Thanks for that Vitaliy, I will push on! Great info and congratulations on Vegas, I will see you there someday. VitaliyG, Congratulations on Vegas! Thanks so much for the post. It's great to share the winfall and pitfalls of this business with us; good Looking out. Onward WAers! 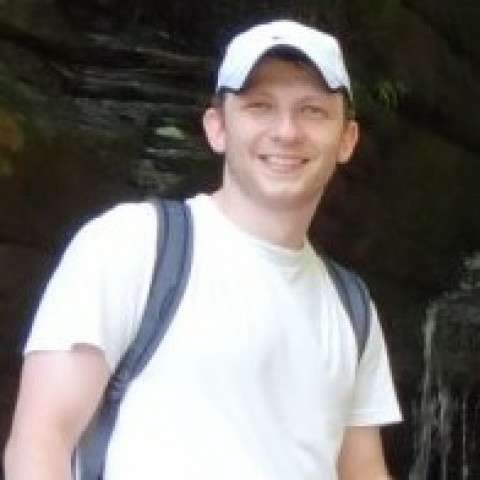 Hi Vitaliy, awesome insight. Thank you so much for your article and congratulations to your success. Very motivating and straight to the point. Amazing post and very motivating! Congrats to you for your success and your commitment to helping others here. I am now following you! Hey Vitaly,I have to say I like your style. I can relate to it easily and it gets right to the point your trying to get across. Good job. Thank so much for this! :) I was also a victim of shiny objects on my first two months! This is powerful. I was stuck on content and sent you a private message but after reading this...it has helped me out tremendously. Thank yo for this piece V! Great advice, thank you. Congrats on your success! excellent list and post. thank you. Very helpful, thanks for taking the time to write this. Great Post and lots of good advice. Congratulation! Great post, bravo! Thank u! This was such an inspirational and informative read! Thank you for the time you took to write it all down! I'm in the early stages of the training and really enjoyed reading your post. Excellent advise and thank you so much for sharing it with us. Good post, very encouraging as well. Thanks and more success. Very good post sir; thank you ! For a newbie like me this is very valuable advice. Appreciate you taking the time. This is such good advice. The training here is very good, but I still have a bit to complete. What you have done is shown that it can be done, and I just need to stick at it. Great advice VitaliyG. I needed to hear this. I'm as stubborn as they come sometimes, and I fell into the same types of traps you mentioned that held you up in the past. I'm going to take your advice and stay the course! Congrats! When you're in Vegas give me a call if you want to get together. THANK YOU, I needed to read this! Wow! Good job. Shows one has to persevere to win. Thanks for the encouragement. Congratulations both on your accomplishments and a really great post. I so stoked for you! Thank you for the sound advise as well brother ! I am so happy for you and thanks for sharing this post. Probably the best WA post anyone who is serious could ever read. Can you still make it to Vegas on the certification course or is it only for promoting WA through 100 referrals? This is so inspiring and make me see where im going wrong, l have 40 posts and keep thinking why am l not having enough visitors to my site. Amazing post, Vitaliy! Thanks a lot! This is a fantastic post. Thank you so much for your advice! Not that you tell me the things I did not hear already in the courses, but repetition is also very important!! Also I am glad you mentioned about posts that are around 1,000. I think I have ADD and if the post is too long it's so boring. But then it really depends on the writing because I love to read volumes of history books. But I have been reading that 1,500 so I am aiming for 1,000-2,000 depending on the topic/research. Wow, I just love this post. It's so honest, helpful and genuine. This is so inspiring for someone new to WA. Your style is so clear and concise. I really appreciate the advise and it's dully noted. Superb, Thank you so much Vitaliy. Thank so much for the great helpful advice really big help to all of us here in the community. Enjoy your trip! Great advice, but here in 2015 the ideal content length has moved up to 1500 words. There is no "ideal" content. You can still get ranked for 1,000 word posts or less if you just write the good content Dennis and the website is already authority mature with Google. That's good to know ... coming from one of our Pros. I'm finishing a draft post that is actually closer to 1900 words. But you know I really enjoyed the research process for my niche site. I'm hoping this might help me to viewed as an authority by Google. My product reviews tend to be shorter ... around 1,000 words or less. My SERPs seem to be getting better ... have several pg 1s. My best is pos 1, 2, & 3 on pg 1 for 3 different but related pieces. Yeah as long as you provide a fully thorough review, it will be noticed by more than just the search engines Dennis. This was an epic post ! Thank you so much ! You touched on a lot of good stuff in this post. I can definitely relate to not wanting to publish content until it's perfect. I have a question about that and how it relates to writing lots of content. If one follows the certification course to completion that person will have at least 30 posts on their website. Don't you think that at that point a person would be better off improving those pages rather than constantly putting out new content? I'm only on course 3 and can already tell that my writing skills are improving. Plus I've learned new things that can be applied to improving older posts. I'm thinking that improving my older posts once I have a good foundation of content will allow me to have 30 amazing posts instead of 100 decent ones. Time spent writing new posts could be time better spent by building good backlinks, working on on-page seo, and improving the design and attractiveness of my website. Thank you!! And congratulations....Have a great time in Vegas! Wow this is some very valuable information. Thanks for sharing. So how was your vegas trip in 2014? Vegas 2015: My experiences and what I learned! I know this is an old link, but i did find myself nodding and agreeing with everything you said. As i do tell people, this is no quick fix to money, its a long term thing that requires dedication. Thanks for sharing man! I started out looking into my online business and internet marketing from a friend who referred me to blackhatworld. Luckily through a mix of wanting to do my due diligence in looking at how to make money through Internet Marketing from informative sources who can teach me the basics and just sheer luck I found your website which referred me to WA. I am in such early stage still, but already feel grateful for finding a website that offers so much value to new people in this industry. Thanks again. Yep. This is super amazing to read this. Kind of keeps me in track with what I am doing. Thanks a lot. Congrats man. I really enjoyed reading your posting. It has really inspired me more. This is the posting that should be given to all those people who keep on asking, how long does it take? I see that question in here so many times. Everyone just wants a short timeline and instant money. I totally understand that this business is something that has to be built up. But I will admit, I too am a very stubborn person and refuse to follow the rules. I am taking your advice on this one. I am setting the stubbornness aside and going to follow the training. What can I say, we are creatures of bad habits. Thanks for the posting. I will read more of your blogs. I wanted to check out your website, but I don't see it listed under your websites in your profile. Great in the face truths. I just read another post about the readers being the most valuable asset of your website. Too often we get impatient and forget that we are actually in a service industry. Serve your customers and when you serve them well, the income will be generated. This is what I needed to hear! Thanks. Thanks Vitaliy! I found this extremely helpful :) Great points and I can see the sense in everything you said. I am off to write some new content now! Thank you. I am starting with little experience, so I don't fear the stubbornness as I do the frustration likely to come. Great post. Just what I needed to read right now as I feel like my enthusiasm is dropping a little. Thankyou, some really good tips there! Hi VitalityG. i'm slightly confused with an aspect of your post. I dont have a niche at this stage so am doing the boot camp to market WA. You say you also went this route,granted you were an experienced online person by that stage,something which i am not. However you mention using product reviews to help you promote WA,what types of products are you referring to? Internet marketing products. Check places like JvZoo and Imreportcard.com for a list. They have a lot to look into. I love your post!! Thanks for this!!! I am feeling more and more positive about WA because of the constant message to "provide value." Refreshing to hear this in an industry ('business") that doesn't always come across that way. They CAN go hand-in-hand. This is an excellent post for those just starting out. The one takeaway I have is that you can never have too much content. When in doubt, just write! Thank you for sharing this. This is bar far one of the best success, and failure, posts I've read. Excellent useable detail and what a morale boost! Everyone should take the time to read this - it is going to save me from much wasted time. luckily I've only wasted a small amount so far. No thank you and my pleasure for certain. Focus on helping others and the blessings will surely come. I got it. Thanks Vitally for the eye-opener! One of the best posts I've read on here. Thanks for sharing. This is a great post. Excellent advice. I'm a little relieved to see that it takes a little time to see results. It will certainly keep me from getting upset. I'm twice as relieved that everything worked out. That means there is hope for me as well. Thank you for such a candid and encouraging post. What a great post - thank you Vitaliy! I am bookmarking this page man. Thank you for the advice! I'd just like to ask if you got all the referrals from search engines or did you use paid ads too? Nearly all my referrals are coming from search engines. I do paid advertising, but I'd say a 5th of my traffic comes from there. I can relate to everything you have said in this post. I have made the same mistakes that you have made by jumping around and not staying focus on the mission courses. training that is included. It is a package deal, that is why WA has been around for as long as it has, because of its dedication in helping up in coming Internet Marketers. Really great wealth of information. Although quite daunting, it's still a very good read. It seems that you have learned the "hard" way to success. Thank you for this post, it is very informative and has given me more to think and work on. It has answered a lot of questions I had. Congratulations on earning your trip to Las Vegas. Although I go to Vegas twice a year, I have my goal set to get my trip to Vegas with WA. I am 5 days in and love this program. I became a premium member the next day even though I had 7 free days. Keep up the great work and hope to see you in Vegas in the future. By the way, congratulations! Keep up the good work! Great post! Awesome advice! Thanks for sharing your knowledge and experiences both good and bad. It is very much appreciated! Go more content or Go HOME right? Awesome Vitaliy. It's really motivates. Thanks for sharing. Wow, congratulations, and thanks VitaliyG! It's awesome to hear from someone who's making it happen, and your suggestions (especially about keywords) make complete sense, aren't something I would have ever thought of, and get me even more excited about the potential for my site! oh my goodness, so glad I became premium!!!!! Vitality, thank you so much for all your tips and sharing your story!! This stuff is awesome!!! I have felt so lost, scared, confused and began doubting my own ability until NOW!!!! Thank you, thank you, thank you!!! Ok, now that I am beginning to understand a bit more I have a ? Before I begin writing reviews on products, should I continue with my training first and finish it? (I stopped on my "about page"? What is the best course of action that will bring the most success? I am not concerned with how quickly I can make money more of how to be SUCCESSFUL for life & bring my husband home full time while SERVING others! Thanks again for all your help! thank you again Vitaliy, You rock! Nice Bro. Wish I would of been able to read this a few months ago. I now feel inspired and I'm re dedicating myself. Wow I can't believe I hadn't read this yet. Exceptional read. This is a very good post and very helpful. I try to publish my content as soon as I write it and keep adding. I am going to have to step up and write content everyday and finish the courses. I started with the get started here, and ending up switching to bootcamp. It made more sense to promote WA first. I enjoy reading your post, keep them coming! Have a great Tuesday!! I came to WA after I had already started a website. I have been trying to get through the training but I wonder if I should start a whole new site for it. That's up to do to decide Andrea. If you don't love the niche you chose, then you should find one that you do and if there's nothing you can choose, then bootcamp would be the next best thing. I so loved reading this entire post - such conviction and clarity. I have wasted so many years. After I joined, money was tight and I pulled out. Then I came back in Sept 2014 and I have been popping in and out of the courses, this time because time is tight so I thought I might at least get engaged in the community, but I have actually spent quite a bit of time there (my ranking ain't bad now) and in the meantime, I am sure I could have gone through bootcamp and the certification course backwards and forwards - more than once. So now, I am sticking with Bootcamp AND the certification courses, to make up for lost time I might slip back in my rankings while I am doing this, but on the other hand, I might not, as I will then have more to offer, too. Go for it all the way Katharina! Just make sure to pick one niche to work on and focus on that entirely so if you're promoting WA, stick to bootcamp. If you have your own niche, go for the certification courses all the way. Thanks for the advice Vitaliy; so, I presume you mean that once I have got myself up and running on bootcamp (because I would like to promote WA, but I would also like to grow a niche of my own), then I could also start work on another niche of my choosing? I would begin with your own personal niche if that is what you love then move into bootcamp. This is usually the way I advise everyone does things. Thanks for the clarity Vitaliy! After all the reading, browsing and interacting here on WA, I was kind of overwhelmed by the amount of information and was lost a bit not knowing where to start when it's all obvious where I should start - the green button that says "Get Started Here"! LOL..
Well I spent past 6 months looking for better ways since I hate wordpress I did find one I like but had 3-4 that were worthless all others use wordpress. So I came back here I give another try but when I blog going code my own sites. I just refuse to use wordpress. Yes it take more time but since know what doing it take less time than learning wordpress and one plus I have no spam comments to worry about. So I learned if disagree with one thing just make a minor change instead of dumping it entirely. You know, I remember feeling the same about wordpress as you are expressing here. The more I work with it though, my thoughts are changing. When I supported Wordpress sites I used to go to the code to make modifications instead of using widgets, etc. Since I have been here at WA I have forced myself to learn WP and I am glad I have. I love posts like this really excellent one. It's so important for us new people who are battling through self-doubt and the challenges of getting the ball rolling, to read things like this. Good for you Vitaliy and thank you for motivating me today! Was feeling a little worn out and needed some encouragement. Your post did just that!!! Thanks for the guidance. Even though I been a member a long time I am just now using it's value. Trying to remember all that the training says to do. I would love to go on with a bunch more training but I think after I read this I am going to take a deep breath and go back and make a list of things I need to do better. It was SO helpful to hear your first few months were a struggle. I have a 3 to 5 year plan to replace my present income so taking a deep breath, slowing down, and pound the content, is what I will be doing. I will also print this post out and use it for motivation every day. So glad to hear you made it to Vegas hope it will be next year. Hey Vitaliy, I came to your blog for some guidance because I am a bit confused right now. Like most people, I look under Jaaxy for "How To...." and found some really good keywords. Since most of my targeted keywords begin with "How To...", I change my blog post titles a bit, otherwise my site will read very robotic. My post titles contain a mix-match of those keywords, most of the time omitting the "How To..." part and adding some catchy phrases. > e.g. Doing Online Marketing Isn't As Difficult As You Think. Then I came across Jay's webinar that says that the blog title and permalinks MUST be an exact match. Most of my posts are not. 1) Am I doing it wrongly? 2) If so, what are the proper steps I should go about editing, deleting or resubmitting (new) permalinks for re-indexing? If this is even necessary at all. I have 55 posts at the moment. Just wanted some sound advice before I attempt anything that might kill my ranking. Thank you for your time Vitaliy. I just went through a site revamp. While it looks fresher, it most likely created a nightmare of errors in my Google Analytics which I'll have to go through and edit out. In a lot of my *pages*, the title and links are not the same thing. However, I don't create a backlink to those pages until the "updated permalinks" are put into the Menu. Beyond all of that, I have another bit that is creeping up on me which is a very long menu dropdown (nearly 20 sections) that cannot be reached without knowing what the URL is. So, whether I like the solution or not, I'll have to change the permalink so that people can find what I have posted. Of the 55 posts you have, see which ones are ranked by taking the URL of the post and putting into quotes and doing a search on Google. If it appears, then leave it as is. Don't change anything, not the title, not the permalink. For ones that aren't indexed on Google, simply re-copy it and when you paste the title, the permalink will automatically fill in. Leave it as is. If you already changed any permalinks and they were once ranked, you'll have to download a plug in called simple 301 redirects. This will allow you to update the old broken links to your new page. Do you mean this; taking the "URLaddress" , put it into Google search and see what comes up? So in other words, it's okay that the keywords in the title and permalink don't match? I'd not ever heard that search engines go by the permalink. I do know that the title of the post should also be in the first paragraph as well as in the keyword box (of the All-In-One SEO). Well it's implied that the link is automatically put into when you write the title, but I can see where people can get confused. It's not ok for the permalink and title to match Cathy, but if you already did it, it's worse to try and change things especially if your posts are already indexed because it will cause a re-index to occur and slow down the site's progress. I would put that entire link into quotes, so "http://vitaliymoneysite.com/my-first-permalink" and then hit search and if I see it, it means it's indexed. Congrats, Tonto. You've confused me. And then I read it 4 more times and it made sense. Great... I will do the course. I will upgrade to premium. :) Thanks for being there. Vitaliy, This post couldn't have been more timely. It's tough teaching old dogs new tricks isn't it. I've been around the IM space for nearly five years myself and you hit the nail on the head about wanting to take short cuts and using old ways to do things. However, I'm 60 yrs old, what makes you and the other people here at WA think you know more than me, why do you all think your ideas are the only tools in the shed? I've been working online now for years and I've spent alot of money buying products and learning from some well known world famous Internet Marketing Guru's. C'mon Vitaliy, are you kidding me, you know there's more than one way to skin a cat. In addition to that, I'm 60 yrs old, how can anyone younger than me know more than I do about anything? Now that I've gotten the hair standing up on the back of your neck, and all the WA members fired up, I"m just kidding man. I'm in complete agreement with everything you said. I just wanted to point out, this is exactly why so many fail in this business. Call it "Ego", Pride, or anything you wish, "Stupidity" is actually more appropriate. So many of us think we know more than most, regardless of the subject matter, we just have a hard time admitting that we don't, even when we KNOW we don't. Big Ego's, Pride, and low Self Esteem cause all kinds of problems and always will. For some reason, we feel that admitting our mistakes, or admitting we're wrong about something, makes us look inferior to others, or that it's a sign of weakness. Nothing could be further from the truth. The sooner we all realize this, the sooner we position ourselves on the road to success. Congratulations Vitaliy on a tremendous accomplishment. I'm so glad you wised up and decided to follow Kyle and the trainings at WA, you're a smart man. Imagine where you'd be today if you hadn't, not to mention all the WA members who would never have gotten to know you. Press on my friend, you're a true inspiration to us all, have a blast in Vegas, I plan to see you there in 2016. Thank you very much for this Rick! I certainly hope to see you as well there. One thing I'd like to mention, besides how greatly written this post is, deals with the keyword section. As you mentioned the ones shown to be under 10 in terms of traffic.. I believe can be great keywords to use in content, depending on what it is. I think the reason that the traffic shows less than 10 is because people are just beginning to search for it and b/c there still isn't enough data to approximate in terms of traffic. Similar to alexa in a way, a keyword has to be used over months in order for it to show an approximate number of traffic. So keywords with under 10 searches can seemingly go two ways: either its a new popular trend people will be searching for or is something that may not get searched a lot, but even if the competition is low, you'll still be getting all the traffic anyway. Haha sorry i noticed this was real lengthy but thought it worth noting! Hello Vitaliy, first of all, congratulations for making the Vegas mark. I wish you all the best for 2015, you are off to a good start. I want to thank you for your inspiring post. In essence, this is what it is all about providing value for your readers. In this case for us, members of WA. What could be better than this, advice from someone who has been through all the downs and managed to make things work, we would better take your advice very, very serious indeed. Thank again. First of all, Congratulations for making the 'Vegas mark'. Second...omg, thank you so much for this blog. I feel a weight being lifted. I was feeling a bit 'down' today...but will keep plugging and taking your advice I'm sure will help as well. Thanks VitaliyG! Thanks Annice, glad I could be of service. Hi Vitaliy, this has been VERY helpful as you shared the proper mindset one should have with building an online business. This 4-6 months period of consistent work and following through allow me to realistically estimate the amount of results I can expect starting from zero. Kudos, brah! You're the one that got me here, now I'm still taking notes from you. Speaking of which, I have a question. On content writing format. When I write, I try to stay in the 3-5 lines per paragraph. I've noticed that you don't. I've also noticed that when you write, the majority of your lines are one sentence or two short ones. Is there a secret to writing that keeps the attention? I look nothing like him! As for my strategy, there's no secret. I just do what makes sense. If I make a new point, I'll try to put it on a new paragraph. 2-3 sentences per paragraph is fine in my opinion. As long as the content is good, the audience will generally stay. Congrats! :) I really appreciate the thoughtfulness you put into this recap of your journey here at Wealthy Affiliate. I also really appreciate all the time you have spent in assisting me on my journey here too. See you there bro! I know it's been a long journey to get here, and you deserve it. Thanks buddy! See you there! Hey thanks for this post! I saw a lot of myself in there. Time now to follow your advice..
Superbly spoken. Much experience that won't be lost on me.As keen as I was to build my site, you have inspired me even more. Thank you, thank you, thank you and here's to your continued success. Champion post. So laid out in reality and some brilliant juicy learnings there for all of us. Is true what you say. Traffic doesn't come with just simple little site with pictures. It take effort.i know because my sites are exactly those you talked about.....sitting doing nothing because we dont offer value just an opportunity to buy something. So that will change on my journey here thru the WA process. Great advice. It's posts like this which keep the rest of us going when we're still chasing that first sale. Just gotta have faith that this stuff works, and this is a great example. Thanks so much for sharing! Have saved to my favorites and will be re reading weekly, I have to get my head around the content writing....am persevering daily..not to much success yet, i know its what matters......thank again for the heads up! Absolutely a great article. I have found Vitality very patient and more than willing to help when you reach out to him, even to "senior newbies" like me. I'm always here for you guys :)! Happy to help. HUGE CONGRATULATION !!! I wish you all the very best successes for future. You DESERVE IT MAN. Good Day VG. Great Advice !! Thank you for sharing your experience and congrats on vegas. Congrats. Great advice. I've bookmarked it. So 2 articles per week, each having 1000 words, are good enought to keep the traffic going? Once you get traffic, you'll keep getting it. The most important thing isn't the amount of words, but the quality of your content. Congratulations on Vegas, I really enjoyed reading your post and will take alot from it. Hello Vitaliy, this is such an informative post. I really enjoyed reading it and have taken note of what to do and what NOT to do!! Thank you for spending the time and effort.